Jaguar Santa Barbara provides customers with the highest level of sales and service assistance. Customers enjoy peace of mind knowing knowledgeable and professional representatives are dedicated to providing the best car buying experience. Whether you are looking for the latest new models or a Certified Pre-Owned model, Jaguar Santa Barbara can help you find your next vehicle. As a premier Jaguar dealership, Jaguar Santa Barbara goes beyond just offering a wide array of new car models. The dedicated sales staff has one purpose – to exceed customers’ expectations from test drive to delivery. The professional sales team offers many years of experience satisfying customers’ needs and is committed to a no-pressure, high integrity approach to every ownership experience. Jaguar Santa Barbara is committed to stocking an extensive inventory of well-maintained Certified Pre-Owned vehicles which customers may view online or on-site at the dealership. New specials are posted daily, and drivers can see a wide array of current specials or new inventory by brand. Additionally, sales representatives are available seven days a week to make each customer’s auto shopping experience fun, easy, and financially advantageous. The dedicated professional service department and a state-of-the-art facility at Jaguar Santa Barbara offers the most current diagnostic and repair equipment available. The highly skilled factory-trained technicians deliver efficient and quality vehicle care to keep your Jaguar in top running conditions. Jaguar Santa Barbara is a proud member of the Santa Barbara Auto Group and is dedicated to providing the best sales and service experience in Southern California. The team is strongly committed to delivering an exceptional buying experience. The sale staff offers many years of experience satisfying customers’ needs. 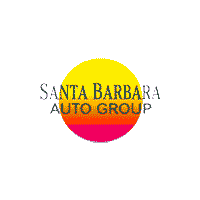 Furthermore, the Santa Barbara Auto Group offers a wide array of new and pre-owned Jaguar vehicles which customers may view online or on-site at the dealership. Jaguar Santa Barbara treats the needs of each individual customer with paramount concern. We understand that you have high expectations, and as a Jaguar dealer we enjoy the challenge of meeting and exceeding those standards each and every time. Allow us to demonstrate our commitment to excellence!